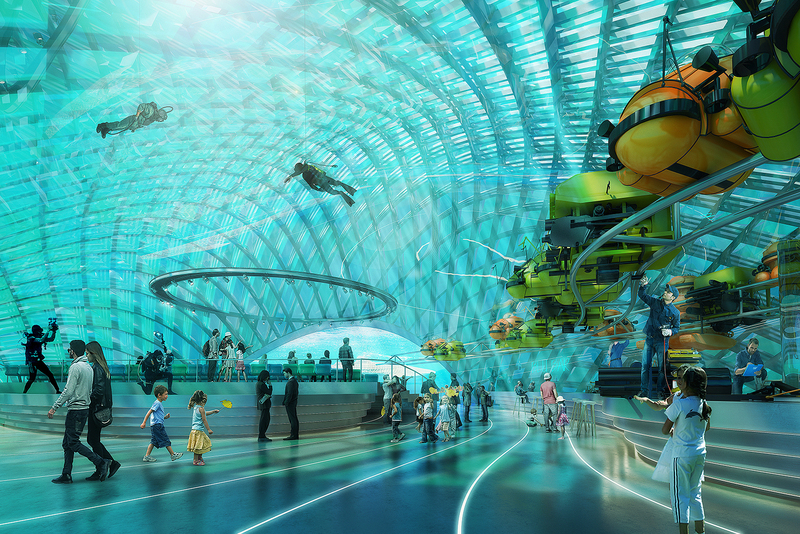 Last October, George Jacob and the San Francisco-based Bay Ecotarium non-profit he helms announced a world first. 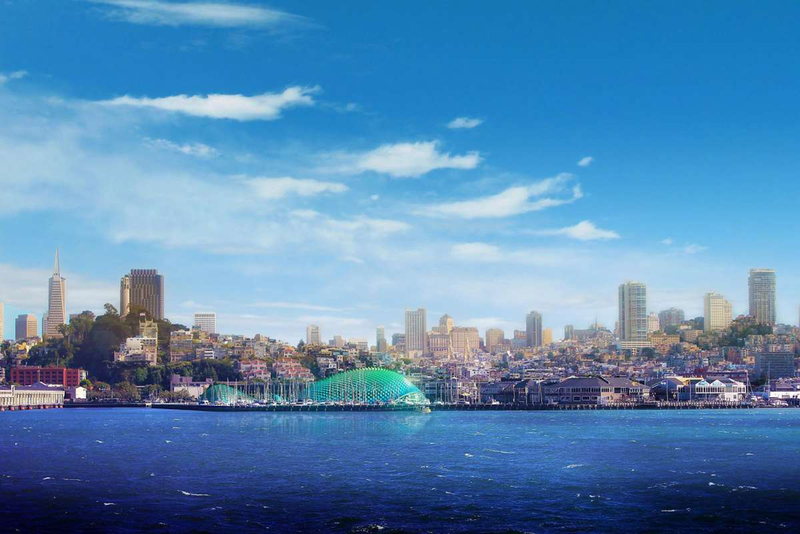 The Aquarium of the Bay, overlooking San Francisco’s PIER 39, will be undergoing a landmark US$260 million transformation into the Bay Ecotarium in coming years — a first-of-its-kind “living museum” with a focus on global warming, melting polar caps, sea level rise, ocean acidification, plastic pollution, endangered species and habitat, clean energy and carbon sequestration. It’s this kind of wildly ambitious, innovative work propagating and preserving cultural knowledge and environmental science that earned Jacob his reputation. And it’s part of what moved The Royal Canadian Geographical Society to recognize him with its Louie Kamookak Medal (named for the late legendary Inuit oral historian and explorer) at a special event at the aquarium on March 28. Gilles Gagnier, publisher and COO of the RCGS, and Rana Sarkar, Consul General of Canada in San Francisco, presented the award to Jacob. Jacob, a Fellow of the RCGS since 2015 and the former president and CEO of the Philip J. Currie Dinosaur Museum in Grande Prairie, Alta., has worked on more than 100 museum and exhibit projects, and his views on interpretive planning, museum and exhibit design, civic reach, sustainability, public art and advocacy have been published widely, including in his seven books on the future of museum design and practice. The designs he unveiled for the future Ecotarium proper show undulating glass structures on the waterfront resembling the ancient shell middens (mounds) — now historic sites — famously created by the Ohlone, an Indigenous people of the bay area. Jacob calls the complex an “edifice to climate resiliency and a beacon of hope.” The centre, he says, will not only bring crowds to beautiful and immersive interactive exhibits, but will establish the organization as a world leader in climate science. Its regional focus will be on the critical importance and conservation of the San Francisco Bay Delta Watershed, which drains about 40 per cent of California’s landmass. “Our Kamookak Medal recognizes Jacob’s notable and distinguished contribution to geography through visionary leadership, design and innovation, and the international recognition his work has earned,” said John Geiger, president and CEO of the RCGS. The last Society medal presented in the United States, he added, was in 2017 to President Jimmy Carter. Past Kamookak medallists include Monty Python member, travel series host and author Sir Michael Palin, The Terror actor Jared Harris and Norway’s Ambassador to Canada, Anne Kari Hansen Ovind.